Whether you’re looking for music, theater, dance, opera, comedy, film, programming for your young ones, or you’re just a Katharine Hepburn enthusiast, you’ve come to the right place. The Kate offers a wide array of programming in nearly every genre of music, great kids programming, unforgettable theater, and a full compliment of arts and culture that is programmed for everyone to enjoy. We also have a great small museum dedicated to our namesake which is open for the public to enjoy. As a cultural non-profit, we’re here for you. If you don’t see us doing things that you enjoy, let us know! We’re always taking feedback on how to better serve the community, the state, and our namesake. This does come with a hefty price tag however. Ticket sales alone make up only a small portion of the resources needed to keep the Kate strong, thriving, and solid for the next generation to enjoy. The Kate depends on members, business members, and sponsors to ensure that we’re able to not only bring great entertainment and programming to the shoreline, but to do so with the highest standards and strongest quality. We also encourage you to consider the Kate during your estate planning through the Golden Pond Society. Your gift can enhance the legacy of the Kate for generations to come. We thank you for your continued support of the Katharine Hepburn Cultural Arts Center. Should you have any questions about how you can further support us, please don’t hesitate to give us a call. We are here for you and because of you! P.S. Read more about the past year in our 2016-2107 Gratitude Report! 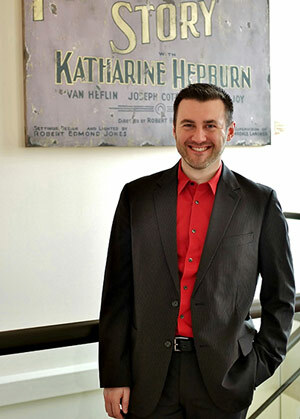 The Katharine Hepburn Cultural Arts Center is a 501(c)3 non-profit #51-0646562. Donations to the Kate are tax-deductible.